Snowy magic! Pure wintry delight: break out the woolly mittens and hot chocolate. A gorgeous tale of magic and mystery, set in the brooding Welsh mountains. It’s been four years since Gwyn’s family fell apart, when his sister Bethan vanished. But on his ninth birthday, his Nain brings five strange gifts which will reveal another gift – inside him. First Gwyn must take a brooch and cast it into the wind. 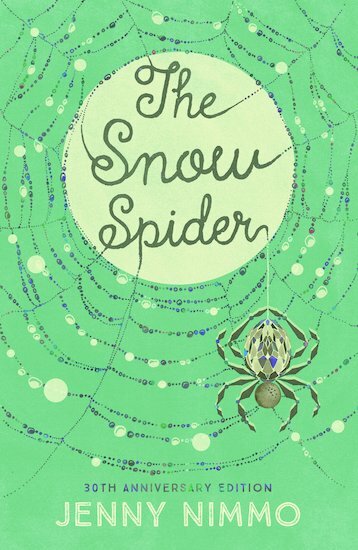 The wind sends something back: a snow spider. So begins Gwyn’s journey as a magician. But can he find a spell to bring his lost sister home?